More of the Urban Assault Team, this time its leader: Bullet-Proof. 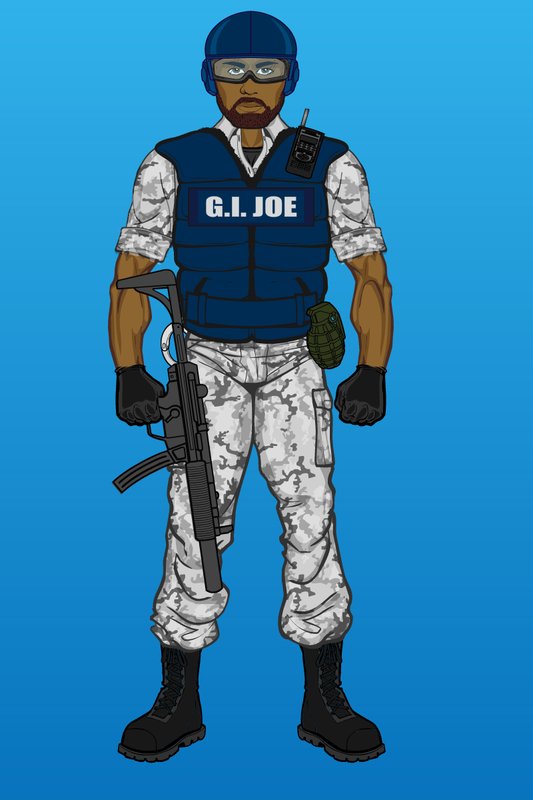 Last seen leading the Joes’ D.E.F., he has a more “law enforcement” design here. It’s been a while again, but now we continue with the next member of the Urban Assault Team, following Mayday and Mutt. Red Zone is a pretty obscure character, only appearing in the 2006’s Plague Troopers vs. Steel Brigade set as Steel Brigade’s urban assault expert. A fact not noticed by me until after coming up with this concept! 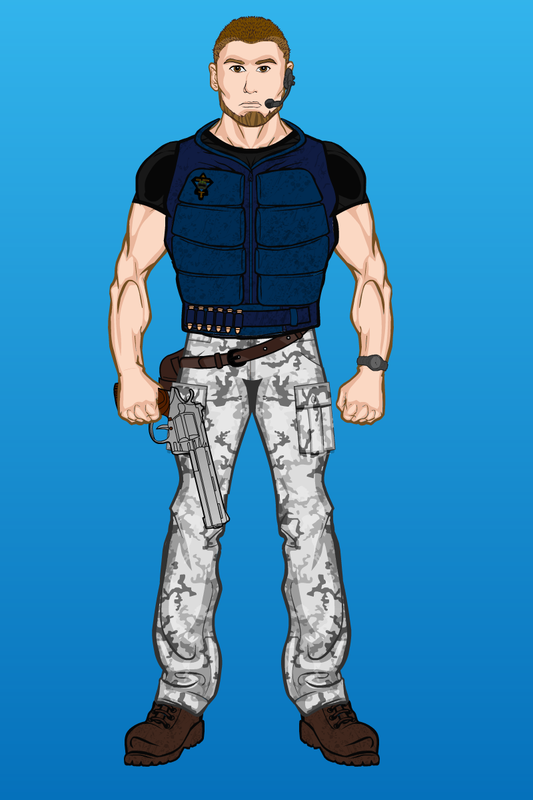 His file name (Luke Ellison) and his likeness come from a real fan who won a contest to be made into a G.I. Joe figure. Note that Red Zone proudly displays his Steel Brigade patch!